Happy birthday, Just a Minute! Nicholas Parsons is joined by a host of panellists for this celebratory series commemorating 45 years of the popular panel game. 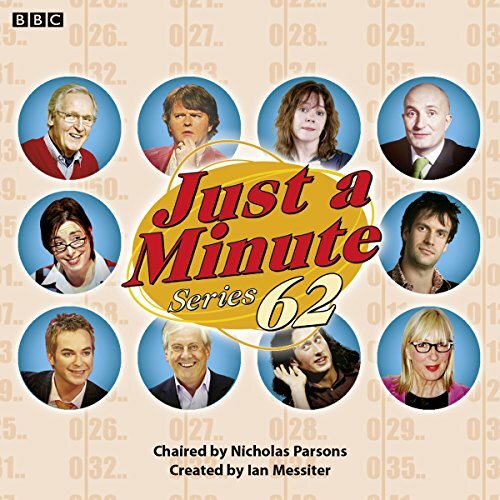 In the first episode, Paul Merton, Ross Noble, Jenny Eclair and Gyles Brandreth are all asked to talk on the same subjects that were given out in the very first series in 1967. The next five episodes see guests Sue Perkins, Julian Clary, Charles Collingwood, Liza Tarbuck, Josie Lawrence and Kit Hesketh-Harvey battling it out for verbal supremacy. These are followed by two shows recorded in Mumbai, featuring regulars Paul Merton and Marcus Brigstocke alongside Indian comedians Cyrus Broacha and Anuvab Pal.